The practice is seeking motivated and qualified interns for the spring semester, from January/February through to summer 2018. WE Architecture has recently grown from being an upcoming small office, to today being a medium-large office with a constant income of exciting projects. These range widely from interior design, architecture and urban design to the development of concepts and visionary ideas, with special experience of residential and cultural buildings. The office has a flat organizational structure that offers dialogue, collaboration and a high level of responsibility. 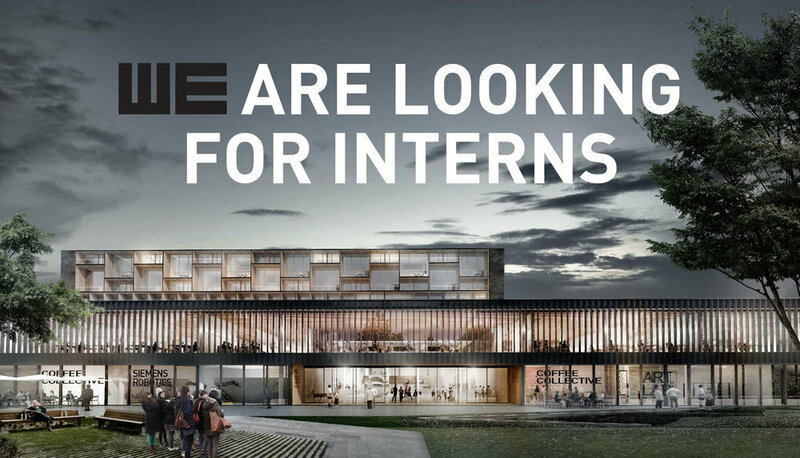 You will work in teams consisting of both Danish and foreign architects with a common passion for creating innovative and idealistic architecture. Applicants should be available full-time for a minimum period of 5 months. Experience in Rhino, Revit and the Adobe software will be highly valued along with physical model making skills. To apply, please email CV and portfolio to work@we-a.dk along with a specification of the period of time you are interested in an internship. Please write “Intern application spring 2018” in the subject line of the email.